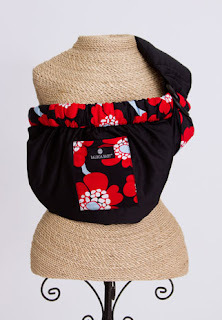 This next carrier is the Balboa Baby Sling Carrier. This one is adjustable so it works great for all body sizes. They have some great prints. The main body of them is a solid color with the print as an accent. I LOVE that about them.